Presenting 100% compostable starter plates that are food-safe, unbleached, attractive, sturdy, freezer safe, diabetic-friendly and microwave safe. Throwing an outdoor party or thinking of a picnic? 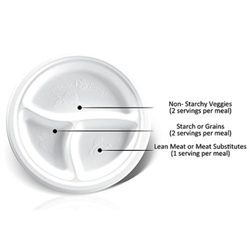 Instead of ordinary paper / plastic or thermoformed starter plates, use the 100% compostable, fully microwavable, 3-Section Nutrition Control Starter Plates. 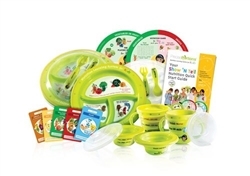 As your guests dig into their food, the ‘Eat & Learn’ System discs that accompany our fully microwavable, 3-Section Portion Control Starter Plates will help keep their minds occupied by explaining the concept and nitty-gritty of portion control. The uninitiated will definitely applaud your commitment to a healthy lifestyle. 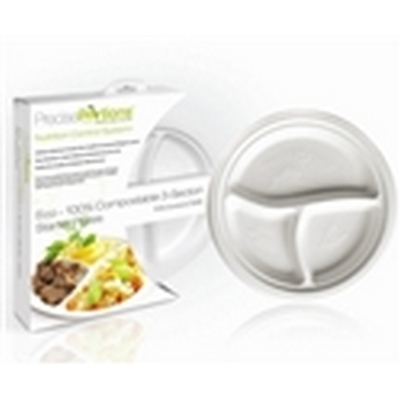 we have stretched convenience to the ultimate by making our biodegradable portion control starter plates microwave safe! You can now heat food on the plate itself – no separate vessels required. 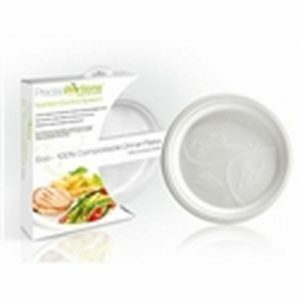 Each box contains 25, 9-inch, fully microwaveable, 100% biodegradable Starter plates. Also included, is a set of ‘Eat & Learn’ System discs that help explain the concept – something that will be appreciated by those who are as yet unfamiliar with the concept of portion control. 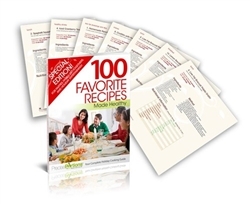 Use the Eat & Learn System discs to select your daily calorie budget, next, select a meal plan that falls within the calorie budget and then create your daily menu – absolutely easy.